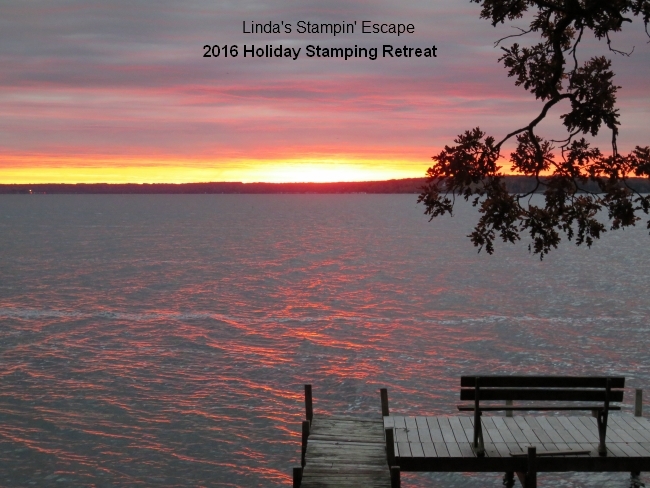 I hope you are enjoying your holiday weekend! 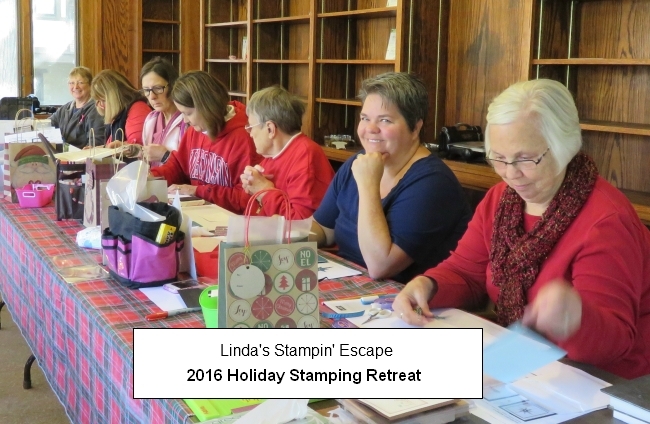 I’m having fun creating in my Stampin’ Studio for the upcoming Holiday Retreat! Still have a few spots open … if you’d like to join in the fun. 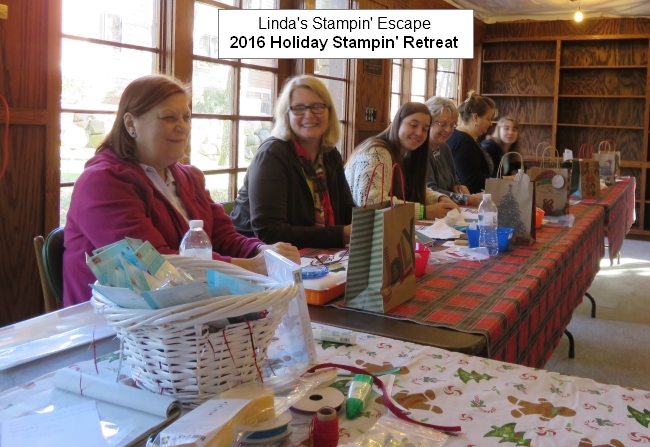 We celebrated our 10th Annual Retreat this past Spring, so this Holiday will kick-off our next 10!! It’s going to be jam packed full of great projects and surprises!! Message me if interested! 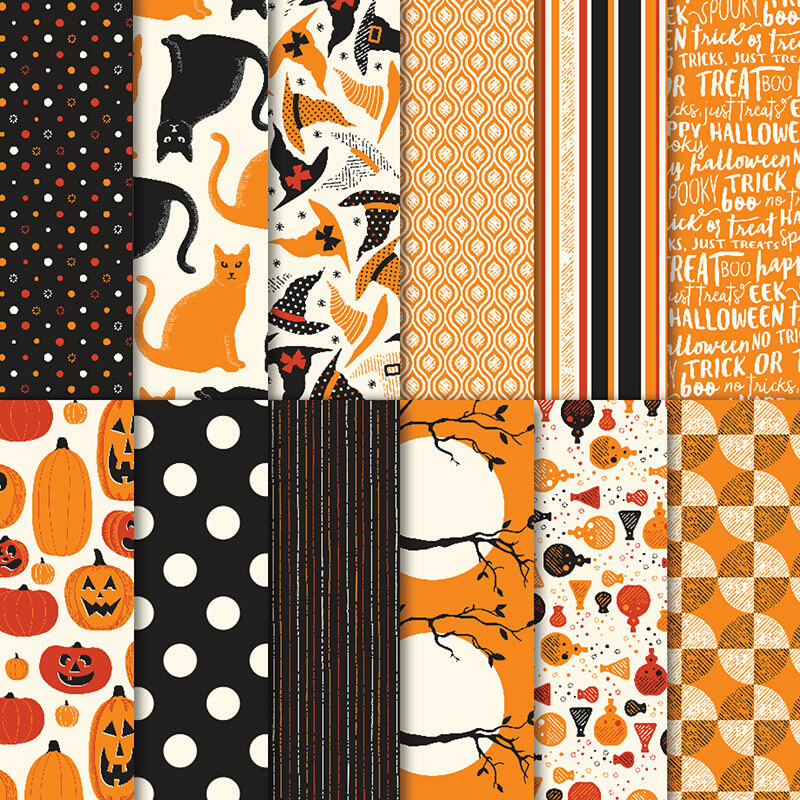 Today’s card will showcase yet another pattern from our Spooky Night Designer Series paper (actually 2 patterns!) 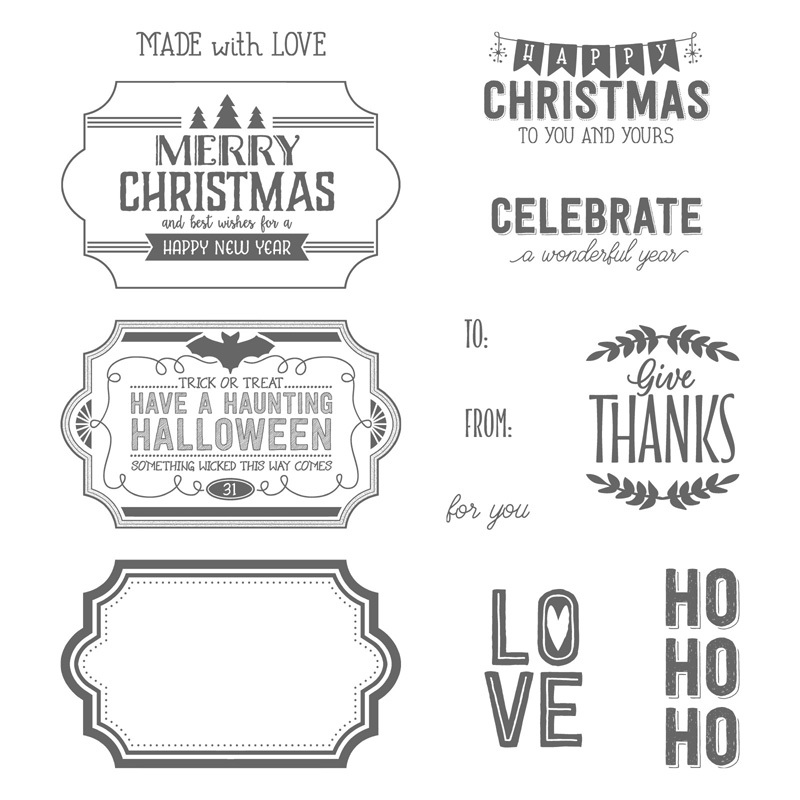 and the new Labels to Love stamp set found on page 45 of the Holiday Catalog. The stamp set coordinates with the Everyday Label Punch found on page 12. 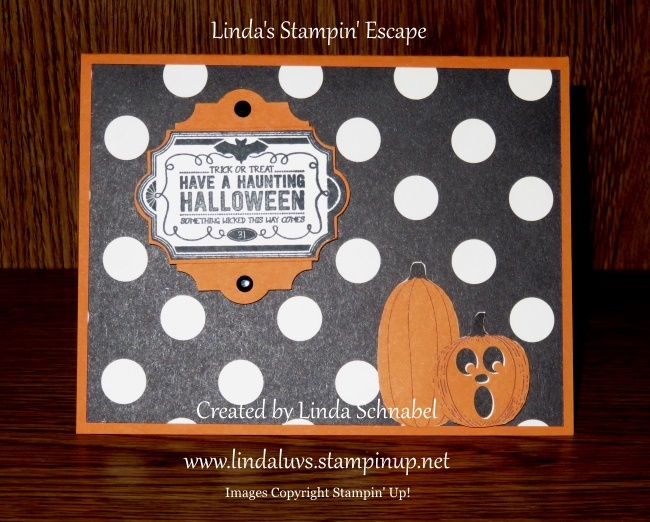 I couldn’t resist using this fun polka dot pattern … but don’t just keep it for Halloween, this paper can be used for any occasion. The cute little pumpkins are actually from the flip side of the polka dot paper. 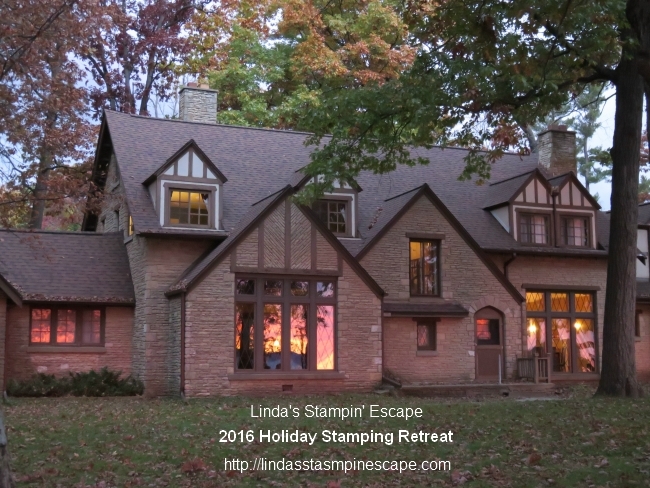 The greeting was stamped with Memento ink on Very Vanilla cardstock. I punched it out and then trimmed it down. I punched 2 more labels from Paper Pumpkin cardstock… one to mat the greeting and the second I flipped vertical and attached 2 black rhinestones to it. With the help of the Everyday Label punch, Labels to Love stamp set and the cute Spooky Night Designer Series paper, it was easy to create this quick -n- cute card! Thanks so much for sharing your Sunday with me.